Here be some Peat for the People. I understand…you’ve been waiting paitently and smirking with restrained amusement as we talk about “delicate complexity” and the incredible array of flavor to be found in Scotch Whisky. All the while we really needed to be schooled in what “real” Scotch is all about, right? Big peaty, smoky, briny, boggy monsters that terrorize towns, devour the countryside and destroy tastebuds. There is certainly no more polarizing category of Scotch Whisky than that which involves the abundant use of one of Scotland’s most plentiful natural resources. Love it or hate it you cannot ignore the fact that there is no other whisky style in the world that lights such a fire in your mouth and slowly burns you down from the inside out with an incredible warmth and flavor that leaves us all begging for more. Today as we wander off the ferry, we grasp in out hot little hands a bottle of Islay Magnificence. Bottled by David Stirk of Exclusive Malts this fully sherry matured Islay Single Malt comes from the Laphroaig distillery so is right up there with the highest levels of peat in Scotland. This here little dram should make even the heartiest of peat fans happy. Recently David successfully sold his company to overseas interests so this may be the last time we get to bottle something from him so it is only apt that we go out with a bang. Laphroaig is one of only 9 distilleries on Islay and was founded in 1815 by Donald and Alexander Johnston. Trading hands many times over the years it is now owned by the Japanese alcohol giant Suntory who aquired Beam in 2014. 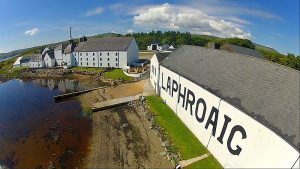 With a great visitors center Laphroaig is a major attraction for any Islay whisky hunter. 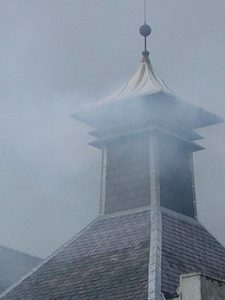 In 1994 they started the friends of Laphroaig whereby visitors could purchase a square foot of Laphroaig land and in return receive the rent of one dram of Laphroaig each year when visiting the distillery. Colour: Some darker tinges here that point at least a touch to the refill sherry cask that this Laphroaig spent its life in. Nose: Bart from Scotch Test Dummies should be a happy man today as he has a self confessed peat obsession. For my substantial shnoz I am getting salty, smoked, pork crackling with a a rich red wine jus poured over everything. My oh my this is an inviting nose. Tailing in at the end is the coastal medicine that helps the whisky go down. Palate: All of the above and more. Actually softer than I was anticipating with the 50% ABV. The sherry infuence seems to enhance that sweet medicine and the smoky salty layer ebbs and flows with charred sweet pork holding it all together. Finish: Laphroaig always seems to take me to Porky places….. with BBQ. Especially when it’s aged in Sherry casks for some reason. Perhaps the added sweetness from the sherry influence and pork is such a sweet BBQ meat. This is a delicious Laphroaig and the finish is just lingering and yummy. What a great potentially last dram from Exclusive Malts. I understand that there are a few bottles of this to be had from K&L in California so if you are keen jump on it before it’s never seen again. Sorry Canada. On day 6 of our 4th edition we had the delicate Samaroli Glenallachie 8 Year Old. 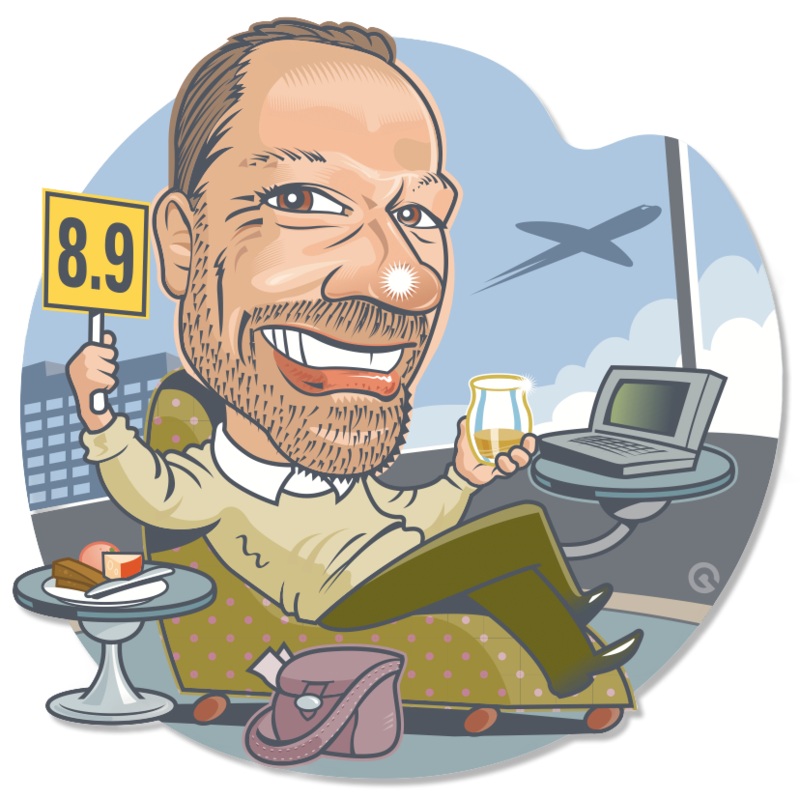 Head straight over to the Whisky Vault and Scotch Test Dummies and watch today’s video’s…..seriously what are you waiting for get over there. Tomorrow we find something from yummy from Alex Bruce at Adelphi. Hold onto your hats sherry fans. This was a mighty tasty dram… The creaminess and peat were dialed up a notch with a little water. All the things I like about Laphroaig but with an even better mouthfeel. I love Islay when there is a little more balance as well. Love to see fruit flowing freely along with all the things that make Islay awesome. 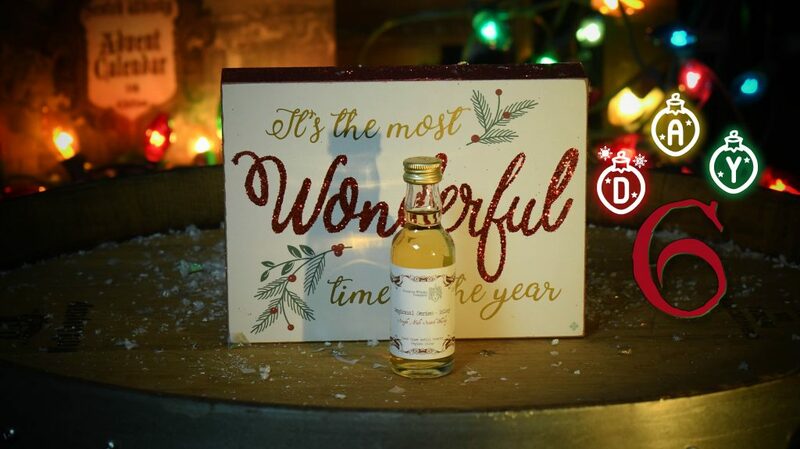 So glad you liked this dram Jessie. For me, it really seems days 5 and 6 got swapped around before they were labeled. Tons of peat, especially on the nose for day 5, and much lighter, but higher ABV burn on day 6. Seeing other people commenting the same on YT reviews. I’m in the same boat. This is not a peated malt… It was most definately not made at Laphroaig. The previous one was peated though. This makes sense now. Jonathan, Johnny was all over this day’s offering because of the peatiness, which he loves and left him ‘schmecking’. I got the smokiness you mentioned. Much enjoyed!